Soooz Says Stuff: Interview with George Polley author of "The Old Man and The Monkey" and so much more. 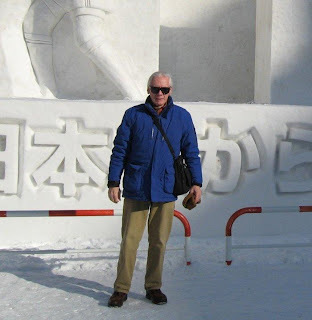 Interview with George Polley author of "The Old Man and The Monkey" and so much more. Occasionally we are privileged to find a book that makes us sit back and simply say, “Ah … yes,” in awed tones of satisfaction … and the gut knowledge that your life has somehow been enriched by the journey you have undertaken with the Author. I have recently read such a book. Please join me in meeting the author. George Polley. 1. George, you have a diverse geographical background, where were you raised? I was raised in Seattle, Washington. 2.You are currently living in Japan. Can you share with us the reasons behind moving there? My wife is from Japan (Hokkaido). It has always been her dream to return home when I retired. I retired at the end of 2007, we flew to Japan, visited Sapporo, bought a condominium, and moved in at the end of March 2008. We love it here. 3.You have your masters degree in ‘social work’ Have you utilized your expertise in the area of Mental Health Care professional in Non-Fiction works? Yes. I wrote several self-help booklets, two of them co-authored with a psychiatrist acquaintance, plus an article published in the late 1960s in a community mental health journal. 4. Was there a pivotal moment when you decided to become a teller of stories? Good question, Soooz. When I was in the 7th Grade, I wrote a story for an assignment that my English teacher liked. She told me I had a real talent, and encouraged me to pursue it. I ignored it until I was in my early thirties. Once begun, I was hooked. 5. Poetry has played a large part in your earlier works. Is it still a large portion of what you write? No. I love poetry and enjoy writing it. I never know when the urge might hit me, and then I write several poems. The last time it happened I was coming home from downtown Sapporo on the bus. Once home, I wrote it down, & several more spilled out. But right now, fiction is my main focus. 6. 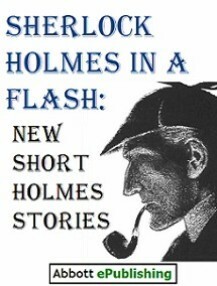 Short stories such as The Sherlock Holmes series have been published. Is the short your preferred genre? No, but it is the one I’ve done the most with … I think mainly because I like stories. I’ve written (and discarded) several novels over the years. Short stories are easy for me. I wrote the Sherlock Holmes stories when the publisher asked if I’d be interested in submitting one. I said yes, sat down, and seven emerged over the next few weeks. It was that dratted cat MacTavish’s fault!  The only reason he’s not in the seventh story is that I couldn’t figure out how to get him on the train to Brighton with Holmes. 7.How difficult is the transition for you … from writing shorts to writing a complete novel? Since both are character-driven, the transition isn’t all that difficult … except for the amount of time involved. Seiji, the novel I’m working on, is taking months. Is it a “drag”? No, because I keep my focus on the characters and on the story they have to tell. 8. Are you a disciplined writer? I think so. I work on the novel about 5 days per week, sometimes a bit more, sometimes less, depending on whatever else may happen to interfere. Minimum of an hour to four hours each time, on average. 9. Can you share with us the process you undertake before committing words to paper/screen? I’ll use two examples: “Grandfather and the Raven” and “Seiji”, the story that gave birth to the novel by the same name. “Raven” started one day when I went out for a walk and a big raven sailed over my head with a loud, raucous “KAAAA!” I thought, well, raven, what was that all about?” When I got home, I sat down at my computer and began writing, beginning with that scene. Intending to write one story, I ended up writing twenty-two. With “Seiji”, I answered a call for stories from a professor at the Islamic University in Kuala Lumpur, Malaysia. I thought “Hmmm, what would I write about?” I’d been glancing at an old article from a Seattle newspaper about the firebombing of Tokyo in 1945, thought about an artist in the Asakusa area of Tokyo (my favorite place in Tokyo), the name Seiji popped into my head, and he and I were on a roll. That story is coming out in a book, A Rainbow Feast: New Asian Short Stories, from Marshall Cavendish (Singapore) sometime this month. The novel emerged from that because I found the artist’s story so compelling. 10. I believe a ‘dream’ prompted the writing of “Old Man & The Monkey” is that correct? Yes, it did, Soooz.  I dreamt about a big Hokkaido “snow” monkey in December 2006, couldn’t get him out of my mind, so did some research. Then I asked him what he was there for, sat down and over the next couple of months, wrote the story. It was a difficult one to write. He and the old man Genjiro and Genjiro’s wife Harue tell the story. To me, it was like sitting down and letting each of them tell it. Sounds terribly mystical, and I suppose it is, except that I see it as a matter of listening carefully to my characters and their stories. 11. The book has had a marvelous response from anyone fortunate enough to have read it. What market was it aimed at? This will probably get me in trouble with marketers, but I never once thought in terms of market or genre. I think the story has wide appeal, from children to people of all ages. I’ve had people tell me that they read it to 4th and 5th graders, and adults tell me they love it. 12. The story of the friendship between the old man ‘and the snow monkey parallels and reflects prejudices encountered in the lives of not only the central figures but the community as a whole. The book is a message. Was that the original intent? Nope. But it does express my personal belief and philosophy. The original intent was to tell the story of the monkey Yukitaro and his good friend Genjiro. I focus on characters, rather than “message”. When I’ve put the focus on “message”, I always get lousy stories. 13. You have written another book “Grandfather and the Raven.” Tell us more about this one? Oh, yeah, I like this pair! They’re funny, quarrelsome, get into situations, give poor grandmother fits, especially when Sir Raven (grandfather Ueda’s name for his friend), decides to come visiting, do foolish things, and cause the neighbors to gossip. Can you imagine a raven coaching a kid how to be a good runner? Neither could I until I met Sir Raven’s cousin Flyer. I had great fun writing this book. 14. Do you intend creating more of these tales, incorporating life lessons? You bet! How could I possibly resist? I suspect that the dog named Bear (subject of one of the later stories in the book) will want his own series, so he, grandfather and Sir Raven will likely reappear in another collection. 15. What else is in the pipeline? A collection of stories – or a novel, I can’t decide which – about Mexico City in the early 1970s, when I lived there for a short time. I’ve carried the material around with me for years. I have a working title, “The City Has Many Faces”. Again, it will be character driven, with one of the “characters” being the city itself. When? Probably after I do the “Dog named Bear” book, perhaps before. I’ll know when I get there. 16. What advice would you give to authors just starting out on the road of seeking Agents/Publishers? Look for opportunity, do the research, be patient, believe in yourself and what you’re doing, and don’t give up. Get around published writers, read author interviews, interview agents, read about them, and send things out. I’ve had one agent, and negotiated with another. Neither worked out. I stumbled across my first publisher and ran into Tim Roux (Night Publishing) at the online magazine Speak Without Interruption. 17. Do you have a blog where readers can access more information about you and your work? Reviews for The Old man and The Monkey. The Old Man and the Monkey is a beautiful story, wonderfully written. A truely poignant tale of friendship against all odds. It's great to finally see it out in paperback where I'm sure it will gain a wide following of readers who have been touched by its wisdom and compassion. This story exudes a wondrous, profound simplicity that invites the reader into an intimate encounter with the characters...sparking the imagination deeply...and leaving plenty of room for your own...it is a tale well told that many of us should hear...and live out. The Old Man and The Monkey is pure magic. Polley's tale encourages us to open our eyes . . . to see what is really in front of us . . . and to accept all living creatures for what for what they are, separate manifestation of our common spirit. This is not a guide for how to apply spiritual values in daily life, but rather a demonstration of what is possible when we do. Read The Old Man and The Monkey with an open heart and mind and you will find the world is a better place for having spent some time in Polley's world. And then you'll find you want to read everything this remarkable man has written. George Polley has done it again. He has a unique talent for creating a situation that prvides a metaphor for one of life's difficult ethical dilemmas and then letting us see how it can be resolved. His humor, insight, warmth, and wisdom all play a part in demonstrating how and old man and a monkey can become friends and how their friendship affects an entire community. In the end the reader must question how we humans respond to differences in each other. What would the world be like if we could react to each other like the old man and the monkey treat each other? Thanks George for another lesson in life. Earlier this year I read George Polley's `Grandfather & The Raven'. Tonight I have read his `The Old Man & The Monkey'. There is one thing I have learnt about George's books - that when you sit down to read them, you needn't stop until they end, and probably that you cannot stop until they end either. At one level, the two books have a similar theme - they are about an old man in Japan befriending an animal - a monkey in the one case and a raven in the other. They also delineate the same reaction of the protagonists' wary wives which is in both cases "Why do you bother?" and then "Don't you dare bring it home!" However, that is where the comparisons end. The Old Man & The Monkey' is very focused indeed. It is an allegory about racism. The wife and the villagers fear that the monkey will interfere in their society. They fear, in fact, that one monkey is a harbinger for a whole host of monkeys who will invade the village and cause a maximum of inconvenience, damage and despair. The wife does not only fear this but she also fears that the villagers will consider her as the introductory force. As it turns out, the monkey is the epitome of decorum and the eventual horde of monkeys is likewise. As a male monkey in Japan, George Polley knows intimately both the monkey's tale and that of the old man. The story is beautifully told, and is quite differently told, as it happens, from the telling of `Grandfather & The Raven'. In the end it makes you cry - at least it did me. You can regard it as a very small `Animal Farm' or a fairly small `The Little Prince' or simply as an exquisite tale in its own right. Buy it and read it. It is one of the most amazing and moving (and indeed clever and subtle) pieces I have ever read. It will take you about an hour to read it each time. I am sure that you will want to share it. There are a few books and movies that are going to always stay with every animal lover, The Art of Racing in the rain, Gorilla's in the mist, The old man & The Monkey, a lonely, beautiful, beautifully written book about the best in us, what we could be if only we werent clouded by judgements and preconception. An instant classic of the genre, and one I hope becomes a seventy five hankerchief movie as well, I hope to see this in Starbucks very soon, this is Howard Schulz's kind of book! I had until today not read any of George Polley's work. From today onward I will seek it out to read. Every once in a while we are fortunate enough to come upon something unique, something that touches, provokes, and stirs us to action. This book, is one of those moments for me. It's sublety should never be overlooked. George Polley invites you into a world familiar, yet not necessarily comfortable. Comfort is one thing you may seek, yet comfort without thought is not what he does here. He gently breaches that zone, making this reader smile wryly at the discovery of so many people I recognize, including myself. An old man, and his relationship with a monkey...simple? No...No, not simple. For the friendship that is shared between this one man, and an animal, touches off a deep seated fear of the unknown in it's characters. The "What if" factor. Lessons learned, lives changed. Oh yes. Yet George doesn't thump a table, he doesn't raise his voice to gain your attention, he invites you, he gently challenges you, and he allows you to laugh and cry at the unveiling of yourself. A marvelous, moving book. For this reader a sparkling moment of clarity found within its pages. "The Old Man and the Monkey" is published by Night Publishing (UK), http://www.nightpublishing.com/. Electronic (e-book) copies are available from Kindle, Smashwords, iPad and other electronic formats. "Adventure of the Feline Assistant", "The Neverbody Business", "Sherlock Holmes and the Holiday in Brighton", "Body of Evidence," "The Sinister Monk", "The Man with a Knife, or, MacTavish Saves a Neighbour". and "Sherlock Holmes and the Blue Clasp"
Great interview Soooz and George and a wonderful insight into this man and his writing. I think George writes extraordinary things - timeless fables told quietly. I don't know anybody who has heard of his books and said "I must read those", nor do I know of anybody who has read one of his books and NOT said 'That was extraordinary'. Maybe that is a failure of our marketing, or simply a feature of marketing itself - that things get packaged around personalities and around genres. George is never 'in your face' and neither are his books, yet both are absolutely delightful and human(e).